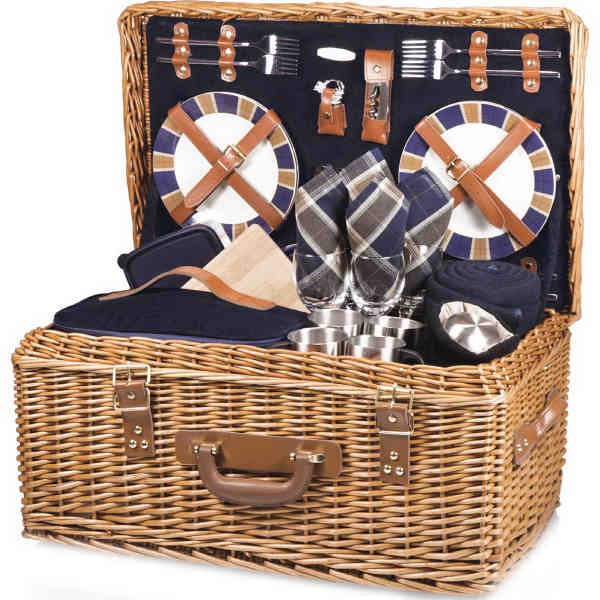 The Windsor is a English-style basket with deluxe service for four. Features porcelain plates. Made of willow with genuine leather straps. Size: 23.5 " x 14.5 " x 11 "
Price Includes:Silkscreen, one color, one location decoration. Price Includes: Per color, Photo sample included. Price Includes: Within 12 months. Price Includes: Up to 25 sq. in. Price Includes: Up to 25 sq.in.